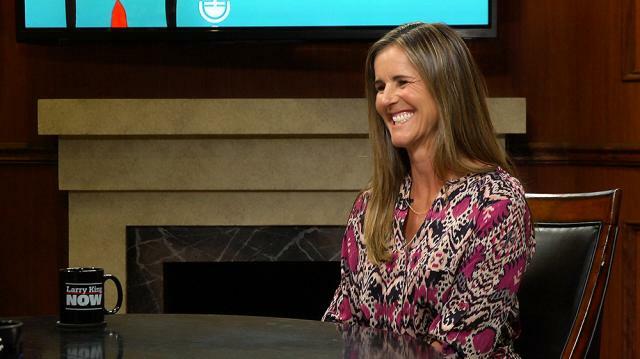 Two-time World Cup champion Brandi Chastain tells Larry her choice for the greatest soccer player in history. King: Marina Shirley on the ‘Larry King Now’ blog: Who do you view as the greatest soccer player ever? Chastain: Oh, that's – male or female? Chastain: You know, I really feel that Michelle Akers from the US Women's National Team was well before her time. She was a player that was as hard as she was graceful. As passionate as you'll ever meet. Just, you know, a two-footed giant. She was like the Abby Wambach before anybody knew, but a midfielder. Chastain: I watched Pelé as a kid, and it was a remarkable thing to see him and the way he played. I was surely influenced by him. I think Leo Messi is a close second. King: How 'bout the guy now, Rudolpho? What's his name? Chastain: Oh Ronaldo. Yeah I think Ronaldo's very good. I mean, no one's gonna deny that he's a good player. I think Leo Messi is a step above him. The pace, and the quickness and the vision that he plays with is just – it's like nobody else has that.